C.Jane.Do: Strawberry Infused Vodka; 'nuff said! 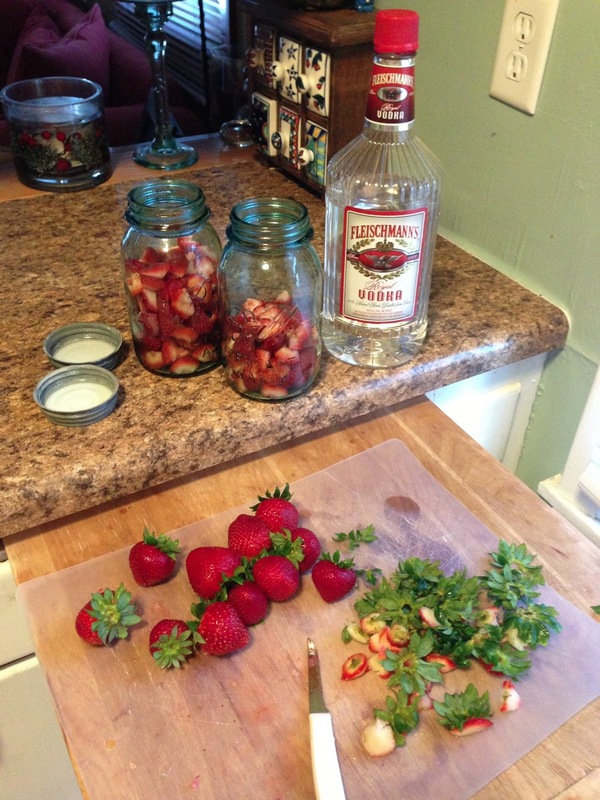 Strawberry Infused Vodka; 'nuff said! Ah summer! The time for fun and relaxation! And also great beverages. I'm typically a beer girl, but in the summer when the heat is on, I like a bit more refreshing and lighter beverage. One of my favorite go-to places is a bar called The City in downtown Madison on State Street. Its not a place you would think to go because it's in the basement and is dark with low ceilings. But this bar makes their own Strawberry infused vodka that makes your trip out of the sun so worth the while. I like to go when it's really hot out so you don't feel so bad sitting in the dark cave-like setting. 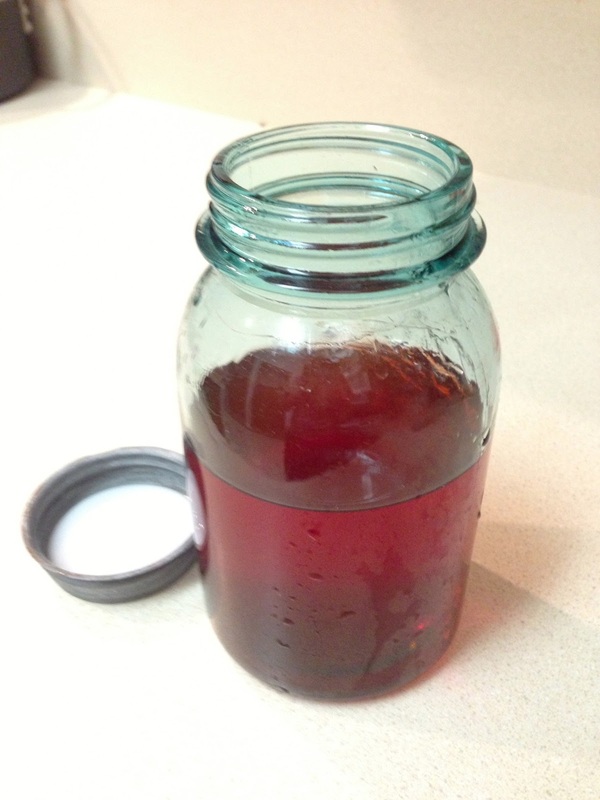 My co-worker introduced me to the best drink every - the Strawberry Vodka Press. I've gotta say - it's my new go-to summer drink. The $6 price tag is a bit more than I like to spend per drink, but it's worth the splurge. 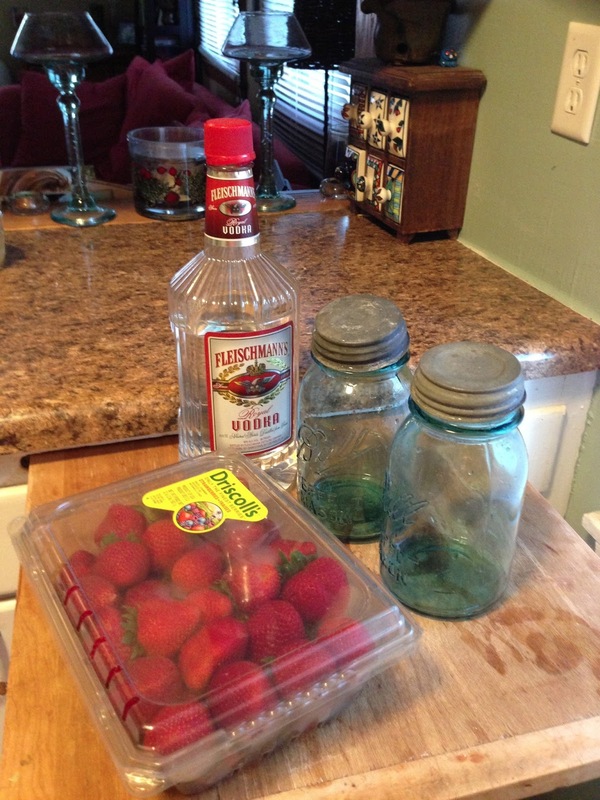 Since strawberries are so cheap right now I googled the recipe for infused strawberry vodka. Turns out it's ridiculously easy to make! Alright - stay with me... you clean and cut up strawberries, fill a container with them, and pour vodka in the same container. Did you get all that? There are recipes online, but I just filled the container with strawberries, and topped it off with as much vodka as could fit in the container. I'm fortunate to have these amazing ball jars that I inherited. They are the tinted blue colored ones with the mercury tops - one of my favorite things that I own! If you are particular with your vodka - be sure to use your favorite brand. I'm more after the budget friendly - so I used what I had in my stock. I'm not very picky when it comes to vodka. Oh, store in a cool and dark place for 3 days. 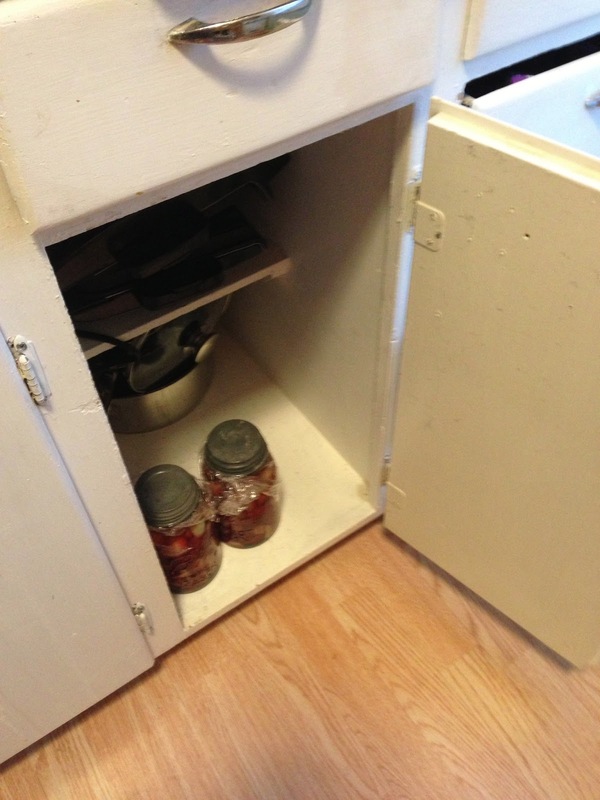 Agitate the containers a couple of times throughout the day if you get the chance. My jars weren't that seal-proof, so I threw a piece of saran wrap under the tops. I could only wait 2 days to crack my first jar... sad, right? 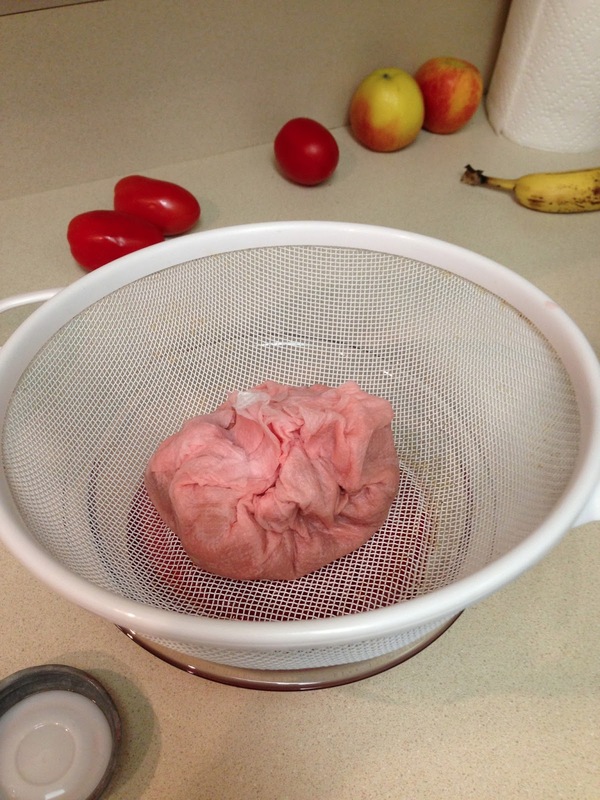 The recipe I found said to stream through a coffee filter. I was too lazy to look for one so I grabbed some paper towels. Learn from me - I don't recommend using paper towels. Know those annoying commercials bragging of being super observant? Well, I want to get the most vodka as I can out of this recipe - and I'm guessing there was more leftover vodka in these towels than there needed to be! Ah, sweet strawberry vodka goodness! Now for the drink recipe! More to come - check back.